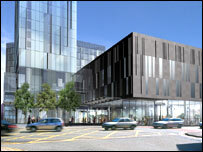 A regeneration expert warns of challenges remaining as Britain's city centres rapidly re-develop. Rural housing: Only for the wealthy? Rural housing campaigner on what villages must do to maintain character. Why is it so expensive to buy a house? Why the UK is obsessed with the housing market and how it's unlikely to change.